What is our potential as a human being? What is my potential as a person? What is the potential of the believer? How can I find out what my potential is? 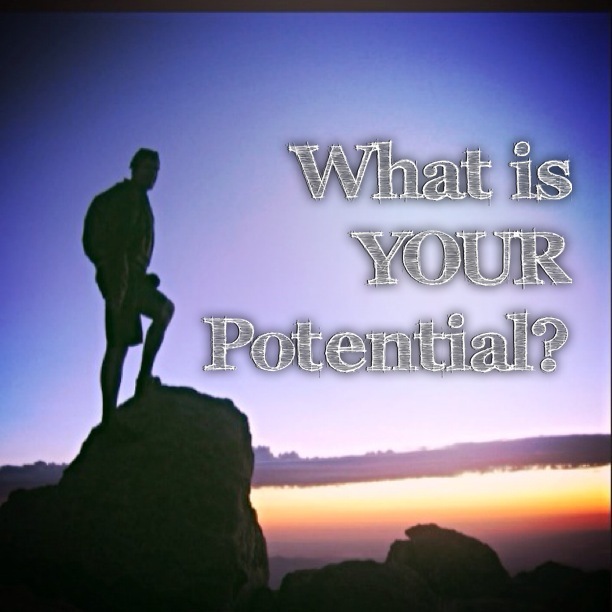 How can I tap into this great wealth of potential on the inside of me? First let’s look at the definition of potential. 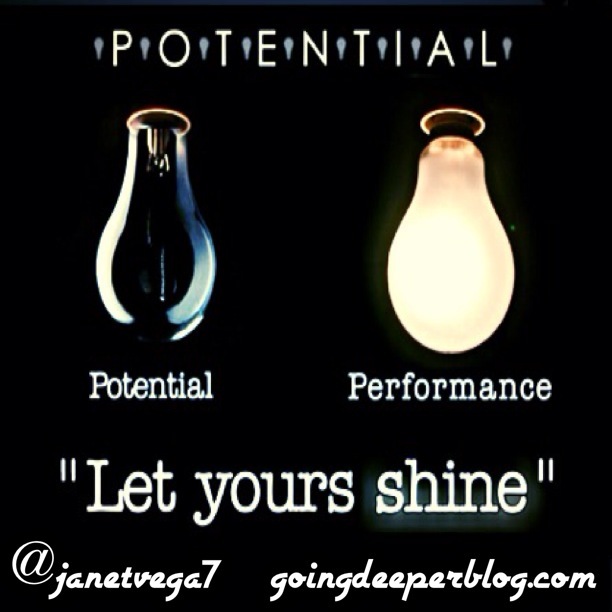 Potential means existing in possibility; capable of development into actuality. The root word is potent which means achieving or bringing about a particular result. The origin of potent from Latin potent-, potens (present participle of posse to be able).Potential then is a storehouse of possibility, with the power to achieve and bring it about. Jesus said in Matthew 19:26 that with God all things are possible. Possible is in Greek is Dunatos and means able, powerful, mighty, strong, mighty in wealth and influence, strong in soul to bear calamities and trials with fortitude and patience, strong in Christian virtue to be able (to do something) mighty, excelling in something having power for something. This is a very interesting verse. Usually when a believer quotes this verse, they only quote the first half. But the second part of the verse is the key. It shows that there is a condition. “According to” means in conformity with, or depending on. In other words, the awesomeness of His doing immeasurable more than we ask or imagine, is depending on, in conformity with and congruent with what we are allowing Him to do on the inside of us. To the measure we allow Him to work in us, is the measure that He is able to do for us. Power in Greek in this verse is Dunamis, which is just a different tense from Dunatos (Possible), and means strength power, ability inherent power, power residing in a thing by virtue of its nature, or which a person or thing exerts and puts forth power for performing miracles, moral power and excellence of soul, the power and influence which belong to riches and wealth, power and resources arising from numbers power consisting in or resting upon armies, forces, hosts. We are capable of much more than we are presently thinking, imagining, doing, or being. His power on the inside of us is capable, and has the potential to do more than what we can imagine. The problem is we have no problem believing that God is able to do immeasurable more that we can ask or imagine, but we have a hard time seeing that God can do it in us. We see ourselves as weak and capable of little when it comes to doing great things. Dr. Monroe said, “Because you are God’s offspring, there are many selves within you that lie dormant, untapped and unseen. Your primary problem is that you do not think like God does.” We must understand that when God designed and created each of us, He placed a deposit in our DNA of who He created us to be and what He created us to do. Dr. Monroe mentions the potential principle, and describes it as a seed that can produce a tree, and the tree can produce apples with more seeds in them. T.D. Jakes recently released a book called “Instinct”, where he describes the same potential principle as Dr. Monroe. He describes cutting an apple open, down to the core where the seeds reside. The potential of that apple is not in the outer flesh. Though it tastes good, but once eaten, that’s it, it’s gone. But in the core of that apple resides its potential. Inside that apple is an orchard that could fill countless acres. From one seed comes a tree. That tree produces countless apples over its lifetime, and those apples can produce countless more trees, etc. One seed literally can produces unlimited orchards with unlimited fruit until the end of time. But to get to that seed, it requires getting down to the core. It requires cutting away the outward fleshly parts, good though it may be, to get down where the real potential is. Bishop Jakes said that there are two ways to get to the core, either through cutting through the outside, or, do nothing to it and it will eventually rot until its core is exposed. Likewise with us, we have unlimited potential on the inside of us. But to access it, we have to get down the core of who God made us to be. There are seeds of greatness that God has placed deep down on the inside of us. But to get to it, it will require cutting away the outward person that we have “learned” to be.